There are so many options for using these green mini lights. With almost 4 feet of lit length they can brighten up small projects with ease. Green wire is so effective when you are decorating with natural or artificial greenery. It also blends well in dark or colored glass bottles. Don't forget that Christmas is a wonderful time to bring more green into your home. 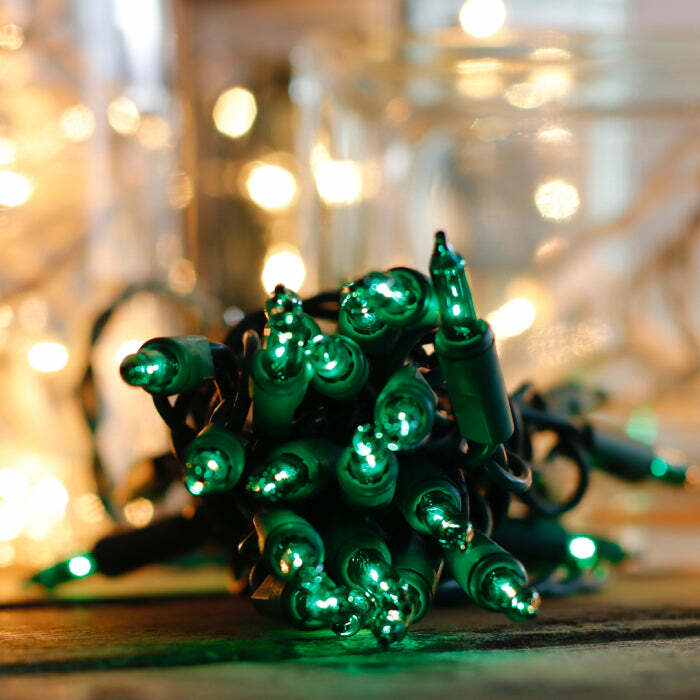 Consider combining these green craft lights with our red craft lights to make the holidays even more special. Plug all of our products into outdoor rated centerpieces. I use these short light strings in Mason jars, with potpouri. Just right. I use these lights in my wine bottle crafts. They are exactly what I was looking for! They look beautiful inside the bottles and add a great feel to any room. Will definitely be ordering more!